Can you introduce yourself, what is your job in the shop? When did you start selling records? I am Ken Williams the senior partner in Acousticsoup. I deal with all the on-line stuff, customer service and the accounts etc and I suppose I am the expert when it comes to knowing which albums are collectible or valuable. I have a partner who concentrates on tracking down and buying collections and we have a couple of guys who help in the warehouse. 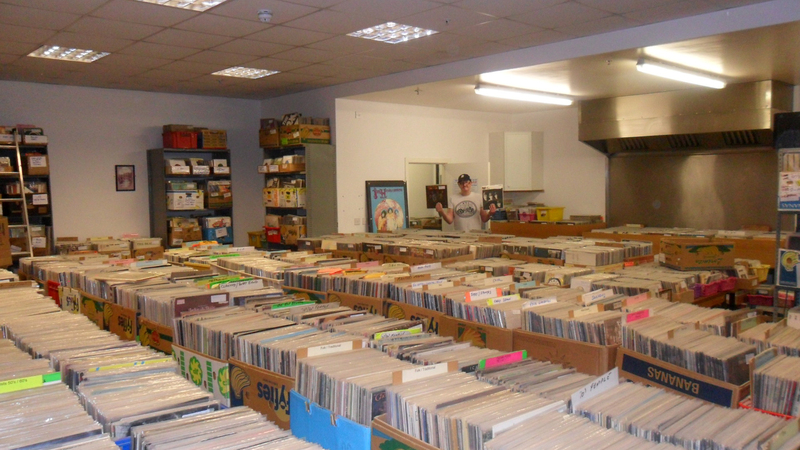 I have been in the record business for 30 years and I started selling at record fairs in 1990. I opened a shop in 1995 which I kept until 2006 when I decided to move the business on-line. We get visits from many overseas dealers and we're happy to welcome them and let them browse. Some travel from Japan and the USA just to trawl through our stock. What is your musical background? your musical approach? Like most record dealers I am a frustrated musician and I have played guitar for 40 years. 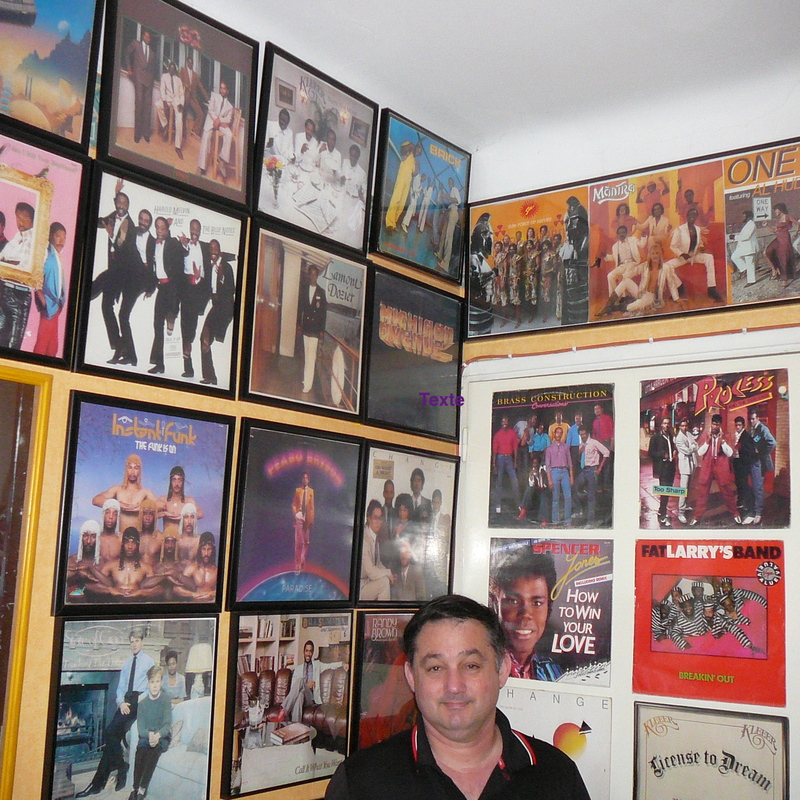 I have played in many groups in that time and in the late 80's I got to make some records but, sadly, fame and fortune did not follow and I decided to concentrate on record dealing which is a great second prize. I still play regularly in a local rock/blues band. A few years ago I met up with jazz-funk legend Roy Ayers in Manchester and he agreed to autograph some albums for me. I presented him with 20 or so LPs and it was fun to see the puzzled look on his face as he had obviously never seen half of them before and didn't know that they existed. They were all legal releases and he was good company and signed them all anyway. He said that he was going to have a word with his agent! Around 10 years ago I was at a flea-market and bought a collection of original Beatles LPs. They weren't in great condition but they were cheap and I decided to take a chance. Sometimes the old vinyl LPs clean up well and can play great despite lots of surface marks. When I got the LPs home I checked them out and inside the copy of Please Please Me was an original Cavern Club Membership Card signed by John Lennon, Paul McCartney, George Harrison and Pete Best. A great find! I was tempted to keep it but could not refuse an offer I got from a Japanese Beatles collector. What is the main musical genre in your shop? We deal mainly in classic rock but we decided long ago that we would also stock every collectible genre and we have an excellent selection of jazz, folk, reggae and pretty much anything a collector would want. We get wants lists from all over the world and we have many regular customers. It's surprising how many are looking for the same rare progressive and psychedelic albums but they have become very difficult for us to find especially in nice condition. What about you, what's your favourite music genre? My own collection is made up of a mix of classic rock and folk rock but I like to think that I'm open minded and will give most things a try. One of our staff is very keen on Industrial and Free Jazz but they are two genres that I can't get my head around. Too noisy and too insane! In recent years we have bought a lot of reggae/dub 12 and I must admit that I'm beginning to enjoy the heavy grooves. 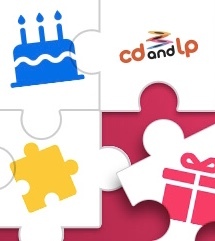 I became aware of CDandLP through chatting to other dealers in the UK who were impressed by the professionalism and the fabulous website. It was a simple decision to decide to sell via the site and it was a good decision. 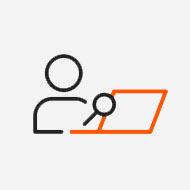 The staff are efficient, helpful and friendly and I would encourage all sellers & collectors to use the site. 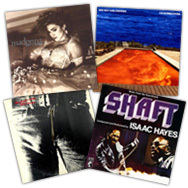 What was your very first vinyl record? How did you get it ? The first record I bought myself (with my own money) was Telegram Sam by T.Rex. 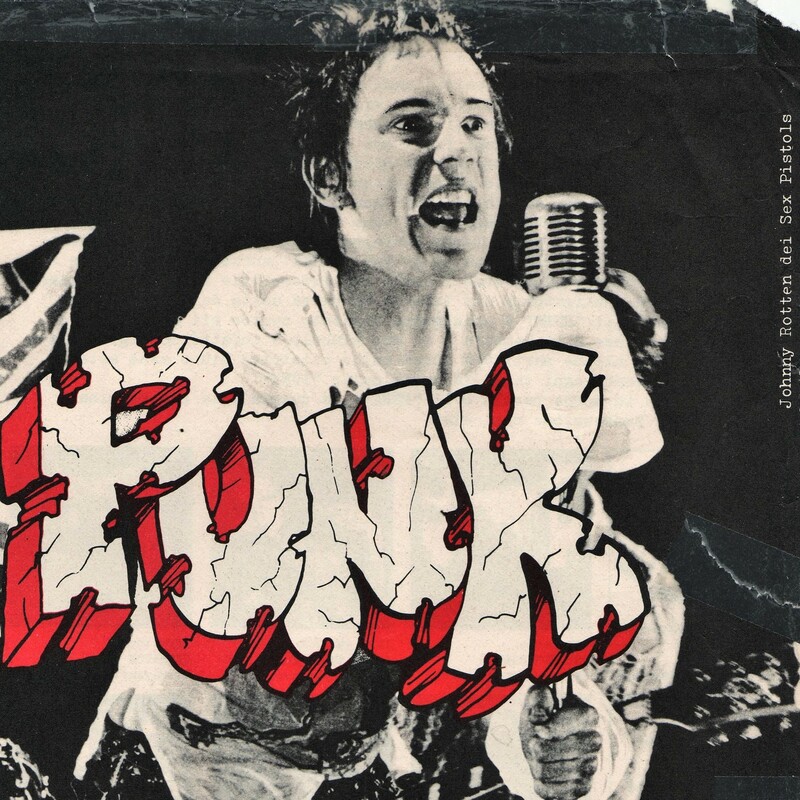 They were so popular in the UK that I had to queue early in the morning to buy a copy from my local record store and the 45 was sold out within an hour. T.Rexstasy was a real phenomenon in my part of the UK and I still have a soft spot for Marc Bolan. According to you, which record within your inventory is the most bizarre, unusual? 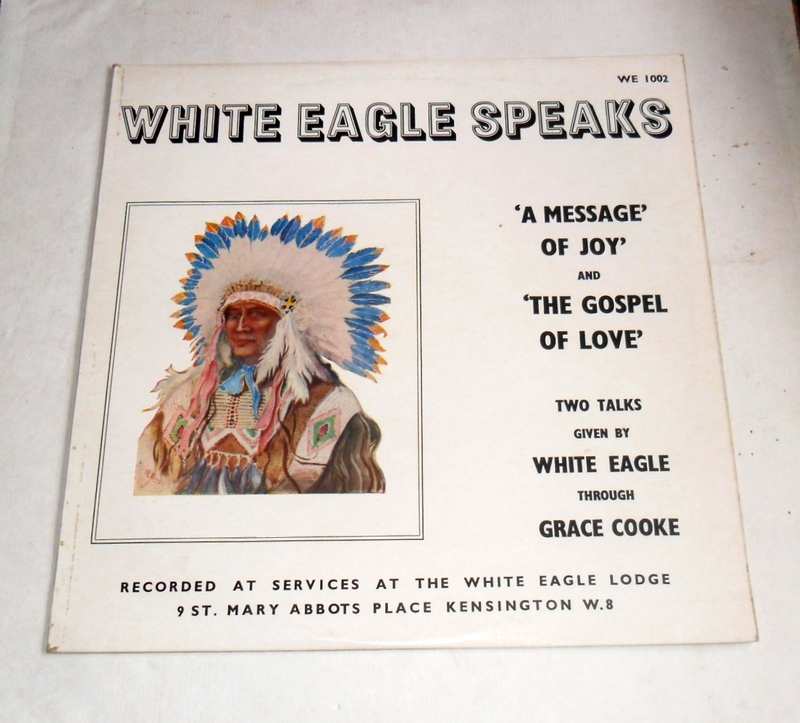 We see lots of weird & wonderful records but one that I'm particularly fond of is the White Eagle Speaks LP which consists of the spirit of a dead Red Indian Chief speaking to us beyond the grave. Great stuff and spooky. Give us your 3 favorite titles in your inventory. 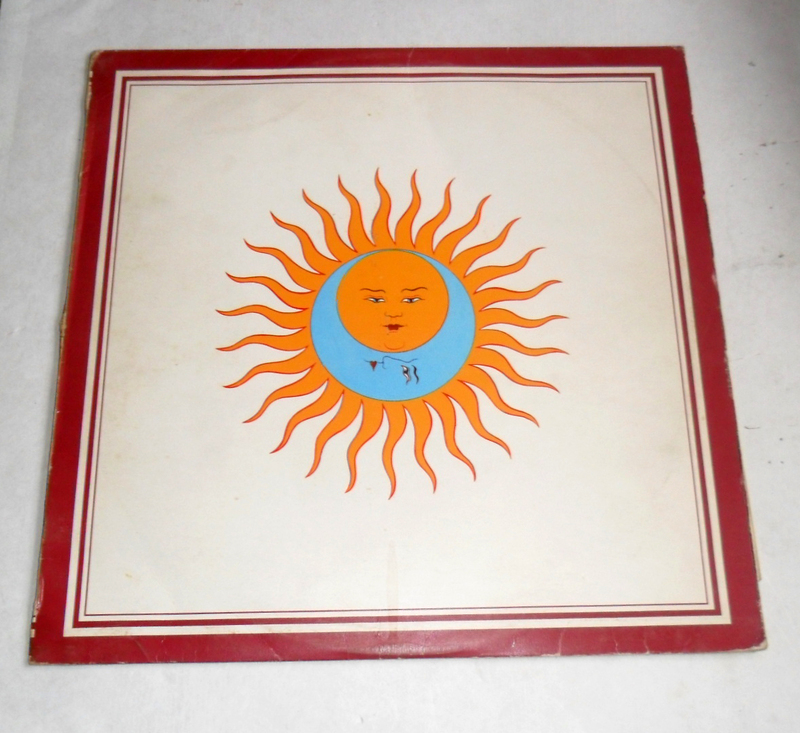 My musical tastes change as I get older and my three favourite albums now are different from my three favourites from 20 years ago but I do love the King Crimson LP Larks Tongues In Aspic and seem to play it at least once a week. A more obscure (and very expensive) album that I like to have around is Time Of the Last Persecution by Bill Fay. It's a very intense singer songwriter album with some great freaky backing. Of more recent albums I have fallen in love with Seventh Tree by Goldfrapp which has some great trippy acid-folk tracks. What record gives you pride ? What record would you never ever part with ? 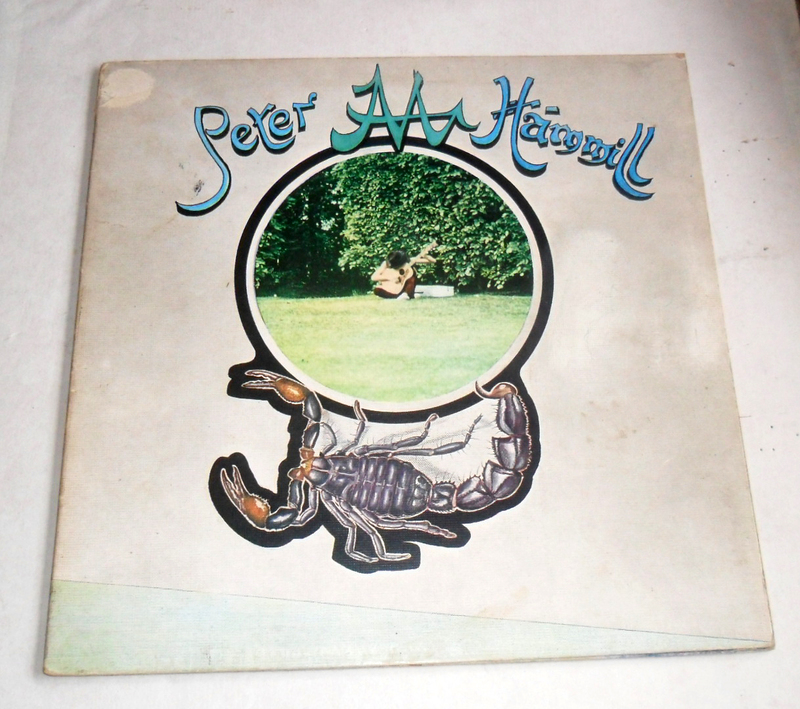 A record I would never part with is Peter Hammill's Chameleon In the Shadow Of the Night which is the first album I bought that made me realise that music & lyrics could be as powerful as the best literature. Listening to it really did change my life. What's your 'guilty song', he song you love but wouldn't dare to confess... ?